Your safety circuit is easy to create on the PC using the PNOZmulti Configurator. 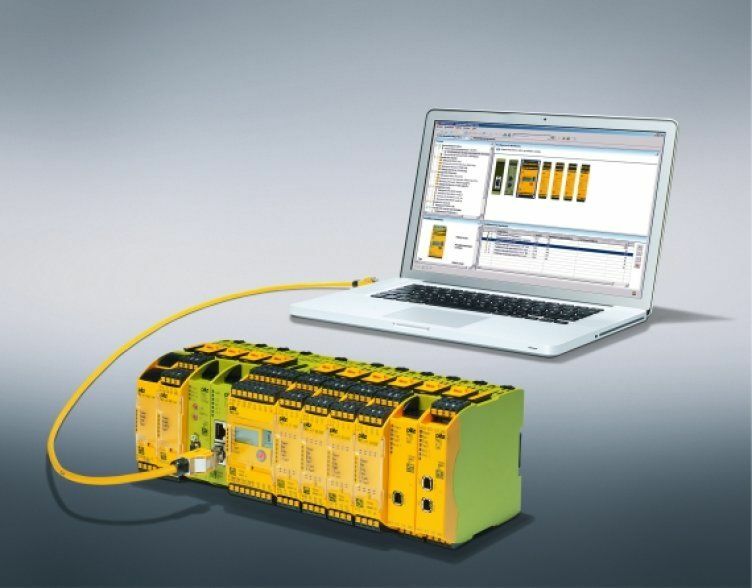 The configuration tool helps you in the project design, configuration, documentation and commissioning of small controls PNOZmulti from Pilz. In Release 10.1.0 the PNOZmulti Configurator has been supplemented with a new comment function. It enables you to create a notepad and add comments for each element inserted into the workspace - simplifying the organisation of your projects. The workspace has also been enlarged to 9 columns and 12 rows, allowing you to configure larger projects more easily as of now. The updated design of the configurator enhances the intuitive operation of the software.